The search for top quality medical education need not take you all the way to USA, Canada, Australia, UK, or for that matter any other costly medical study destination when you can pursue medical programs of the same quality and credibility in Ukraine, which is home to one of the world’s finest medical universities, Odessa National Medical University, which falls in the league of elite medical institutions in the world and has completed 100 glorious years, molding top class medicals professional. Odessa National Medical University, Ukraine is a government run University with self governing status with IV accreditation level conferred by the State Accreditation Committee of Ukraine which is the top most level that can be secured. Odessa National Medical University is listed by World Health Organization, International Association of Universities, European University Association and medical boards across the globe and has the rare distinction of being the only University of Ukraine, to be member of MEDINE (Medical Education IN Europe) which addresses educational, institutional and quality issues in European medical education. Odessa National Medical University, Ukraine had had some of the best known faces of the science and medicine fraternity including Nobel laureates as its faculties and visiting fellows. It was among pioneering medical universities to have started medical education fully in English medium, towards catering to the needs of its growing number of International students and till date has produced 7 batches of complete English medium. The general medicine course at Odessa National Medical University, Ukraine is of 6 years duration and on completion of 6 years a student is conferred with “MD Physician” degree, which is equivalent to M.B.B.S. in India. 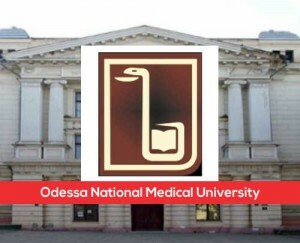 A unique aspect of the medicine study at Odessa National Medical university is the opportunity to pursue a postgraduate diploma in endoscopy from 5th year on wards, which means on passing out one will have a dual certification. The clinical facilities at Odessa National Medical University include well equipped 35 hospitals with conditions & facilities for practice & training for doctors and students. Central Scientific – Research Laboratory, Institute of Clinical Biophysics, Health Family Center, Vivarium, Scientific – Research Institute of Eyes Diseases and Tissue Therapy, Institute of Health Resortology and Medical and Medical Rehabilitation, Stomatology, Virusology etc. The University enrolls around 4000 students, including 1200 foreign students from 52 countries of the world. The university has 18 blocks with general area of 20,000 sq.m., a library with total stock of 1 million books, scientific medical computer center, Students Polyclinic providing medical aid to students free of cost. Odessa National Medical University has six hostels which are multistoried with central heating system with continuous hot & cold water supply, canteen, recreation room, students’ club, library etc. Fully furnished single/double and triple bedded rooms are offered with toilet/bathroom and kitchen. Need more information about gaining admission to Odessa National Medical University, Ukraine? Look no further Santa Monica Study Abroad Pvt.Ltd. your most trusted name in overseas education consultancy is here to facilitate admissions of students, seeking admission to leading medical institutions across the globe. Our experienced and well informed experts provide unbiased and accurate information about Medicine programs that fit your profile and budget. For more information, visit your nearest branch of Santa Monica Study Abroad or call us on 0484-4140999. This entry was posted in study medicine in Ukraine and tagged Study medicine in Odessa, Study medicine in Ukraine on June 27, 2016 by Ronnie Fredrick Thimothy. When it comes to Medicine studies in Ukraine, Medical Institute, Sumy state University is a name to reckon with. Founded in 1992 as the Medical Faculty of Sumy State University, it is in the forefront of providing quality medical education at economical costs and is widely known for its innovative teaching, practical training and research environment. No surprise that it has produced world class doctors serving at prestigious medical institutions across the globe. Currently the institute hosts students from Eastern Europe, Asia, Africa, and Latin America. The Webometrics worldwide Internet rating puts medical institute of Sumy state university at 11th position among Ukrainian institutes of higher education. It is a signatory of Magna Charta Universitatum and a member of the International Association of Universities, the European University Association, and the Eurasian Universities Association, which speaks volumes about the credibility of the institution. The undergraduate medicine program at Medical institute of Sumy State University takes 6 years to complete, which leads to MBBS degree. This includes 5 years studies and 1 year internship, during which students learn fundamental to special areas of medicine. They are also involved in examining patients, exposed to intensive care needing scenarios etc The Faculty at Sumy medical institute have extensive international exposure and are known for adopting innovative teaching and training methodologies which is sure to aid teaching to great levels. International scientific and practical conferences, seminars and symposiums are held at regular intervals towards enhancing the scientific and pedagogical potential of the Medical Institute.Clinical and theoretical training of the students is conducted at various departments with the aid of modern medical diagnostic equipment’s. The classes’ as well as the training sessions are held in English, Ukrainian and Russian With regard to accommodation of students Medical institute of Sumy state University provides modern, fully serviced and comfortable accommodation for international which caters to the personal as well as academic need of the candidate along with 24-hour access to security and emergency services. Need more in formation about gaining admission to Sumy medical institute, Ukraine ? look no further Santa Monica Study Abroad Pvt.Ltd. Your most trusted name in overseas education consultancy is here to facilitate admissions of students, seeking admission to leading medical institutions across the globe . Our experienced and well informed experts provide unbiased and accurate information about Medicine programs that fit your profile and budget. For more information, visit your nearest branch of Santa Monica Study Abroad or call us on 0484-4140999. This entry was posted in study medicine in Ukraine and tagged study medicine in Sumy Medical University, Ukraine on June 25, 2016 by Ronnie Fredrick Thimothy. 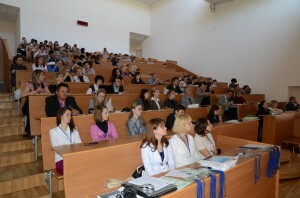 Ukraine is at the forefront of providing quality medical education at economical costs. It has a highly developed health care system that adopts practical teaching approach, which makes it easier for students to grasp the concepts. The well established medical universities in Ukraine are recognized all over the world for providing excellent quality medical education in a serene social environment. 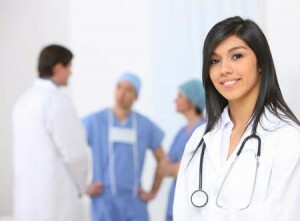 Medical degrees offered by Ukrainian institutions are recognized across the globe. For an Indian student on successful completion of the course he/ she can appear in the MCI screening test (FMGE) for gaining MCI registration, which is mandatory for practicing in India. Indian students who wish to study medicine in Ukraine have a tremendous advantage because, though there is no compromise with regard to the quality of education, the admission process is quite simple. The most notable thing is that there is no entrance test; a dreaded term as far as any medical aspirant is concerned. The documentation requirements are quite simple and the visa process also does not take consume much time. To boot, the biggest concern of any Indian student, getting Indian food, does not exist, as Indian food are served at all most all University canteens and also the number of restaurants serving Indian food is phenomenal. There are excellent transport facilities available within the Country. Students are offered with a 40 per cent concession over the normal rate of the tickets of buses, shuttle-buses, trains, etc. These and a host of other reasons, make medical studies in Ukraine extremely popular, with students from all parts of the world. WHY UKRAINE IS A STAND OUT DESTINATION FOR MEDICINE STUDIES? Almost all universities of Ukraine are recognized by international bodies and organizations such as WHO also known as AVICENNA Directory for Medicine, IMED International Medical Education Directory of FAIMER, UNESCO and AMEE. Almost all universities of Ukraine have scope for studying post- graduation and PhD thus allowing students to smoothly move from one level to the other. Successful pass outs are permitted to apply for International Licensing exams like USMLE (USA), PLAB (UK), MCI Screening Test as well as other licensing exams throughout the world. Comparatively low cost of living, a student with a normal lifestyle can survive with around 100 USD – 200 USD a month. An attractive destination for those interested in traveling as Ukraine is known for its variety of landscapes and vibrant culture. Under graduate course in General Medicine is of 6 years duration and is conducted in English & after completion of 6 years of UG course student is conferred with “MD Physician” degree, which is equivalent to M.B.B.S. in India. For undergraduate course: Candidate must have completed his/her secondary education with minimum 50% marks in Biology, Physics & Chemistry from a recognized college. Santa Monica Study Abroad Pvt. Ltd. has been working closely with top ranked medical universities in Ukraine and can help you identify your best option. The team at Santa Monica has personally visited the institutions and have assessed their facilities and interacted with students before facilitating admissions to their associated institutions. For more details, please seek the advice of our experts in choosing the right destination for your medicine studies. For more info contact us on 0484-4140999. *Kindly note that all foreign medical graduates wishing to pursue their medicine practice in India should mandatorily clear the MCI clearance test known as (FMGE) . This entry was posted in study medicine in Ukraine on February 25, 2016 by Ronnie Fredrick Thimothy. Santa Monica Overseas Education Expo September–October 2018– Your Overseas Education Expressway!